Stephanie graduated from Augusta Technical Institute for Cosmetology in early 2011. Stephanie has started with our company in November of 2011. 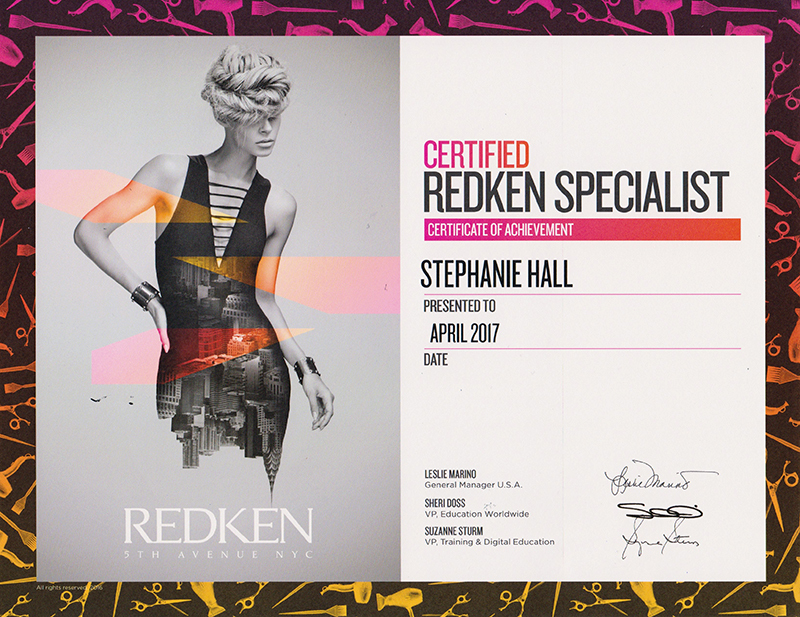 She has attended all of our in-house hands-on training that we host quarterly and she remains focused on her continuing education. She brings her youth and excitement to our team and we love that. We consider her a fantastic addition to our team and we know you'll enjoy her talent and enthusiasm.